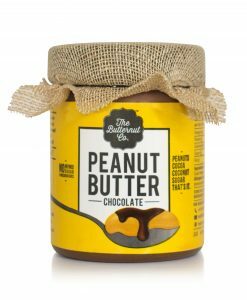 There’s no better feeling than spreading health, love and luck to everyone around! 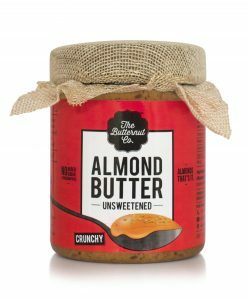 Which is why we thought we’ll make it easier for you. 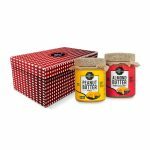 Whatever the occasion – our handcrafted gift boxes with two delectable nut butters, tied together with a luxurious bow – will put a smile on anyones face. 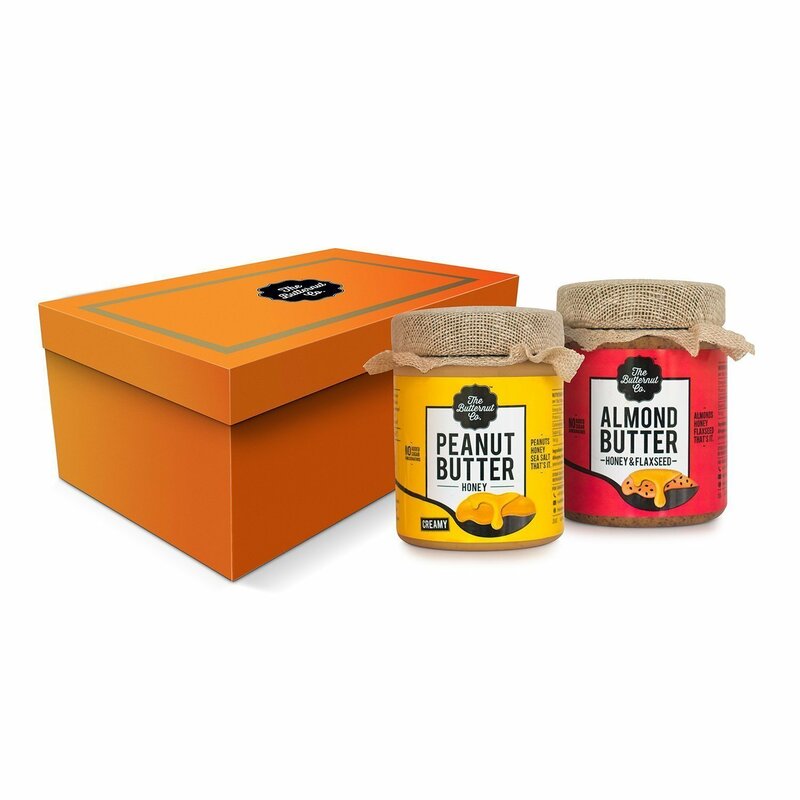 Customise your box : Have any favourites? You can customise your Almond and Peanut flavours in the box. 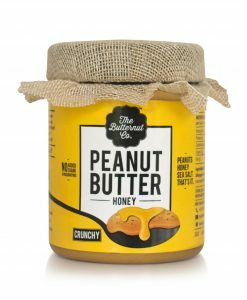 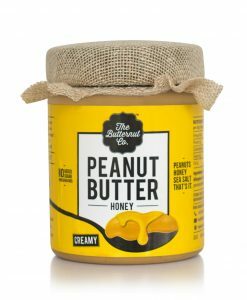 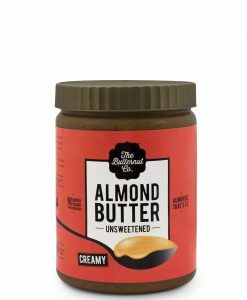 Place your order and drop us a mail on health@thebutternutcompany.com with your Order Number to do so. 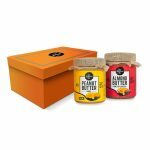 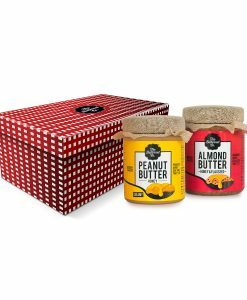 Cardboard Gift Box with 2 x 200g jars of Peanut butter.